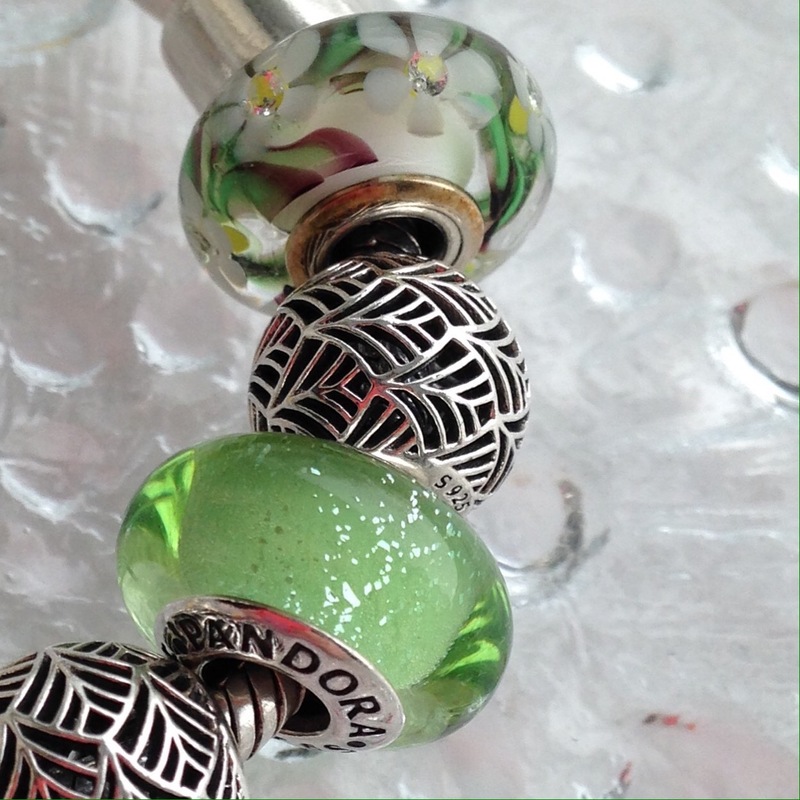 The other day one of my favourite Instagrammers posted a beautiful photo of a Pandora bracelet made with two of the Pandora Disney Tinker Bell silver charms with green fluorescent Murano glass. I couldn’t get the picture out of my head and I just happened to be at the mall with my son later and popped into the Pandora store. It is such a pretty shade of green! 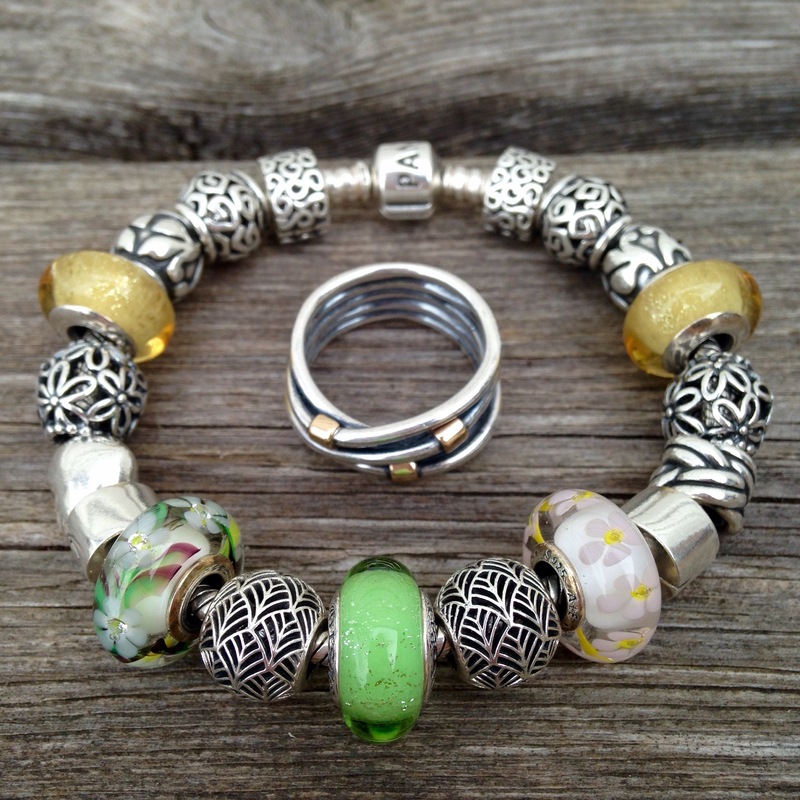 Here it is on a full blown all Pandora bracelet. 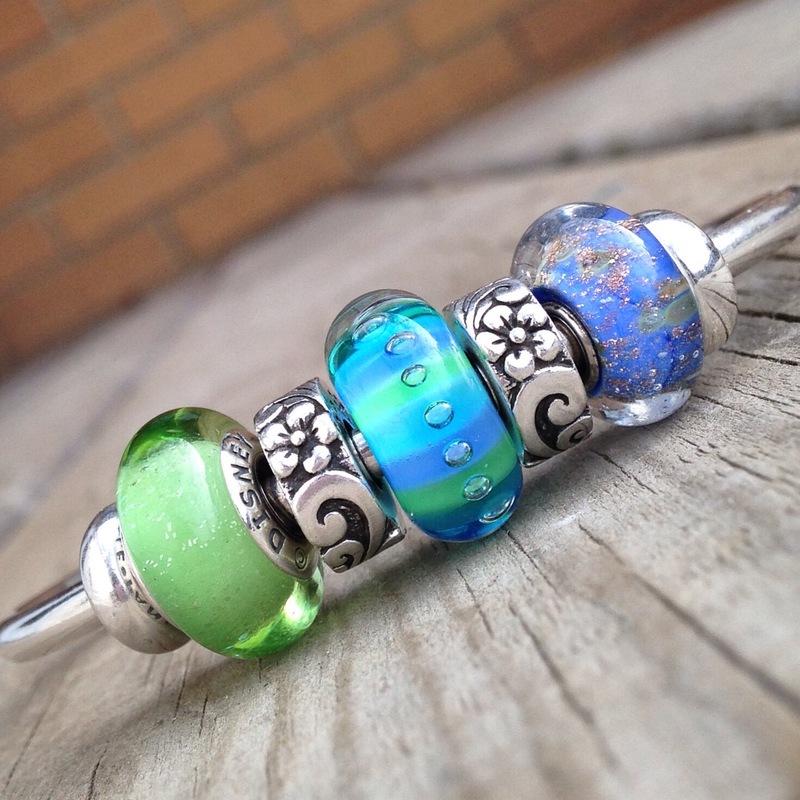 I do have two of the Belle Muranos and I think my long term goal will be to get one more green one and then two of the blue Cinderella ones. I’d like to make a dedicated Disney bracelet because I just love going to Disney World. I guess I have to either go with a princess bracelet or red/black Mickey and Minnie? I can’t really picture mixing the two together. Clearly this requires more thought! 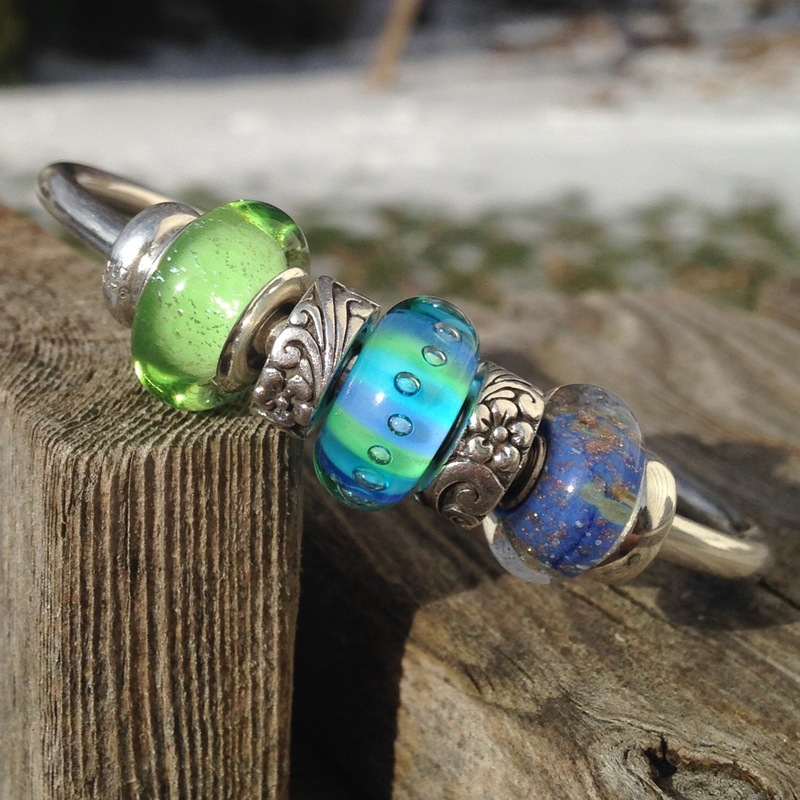 Next I tried the green Murano with some Redbalifrog Hawaiian Floral stoppers and some Trollbeads. I like it, but it is a bit off balance regarding the core sizes. It looks very pretty in the sun. 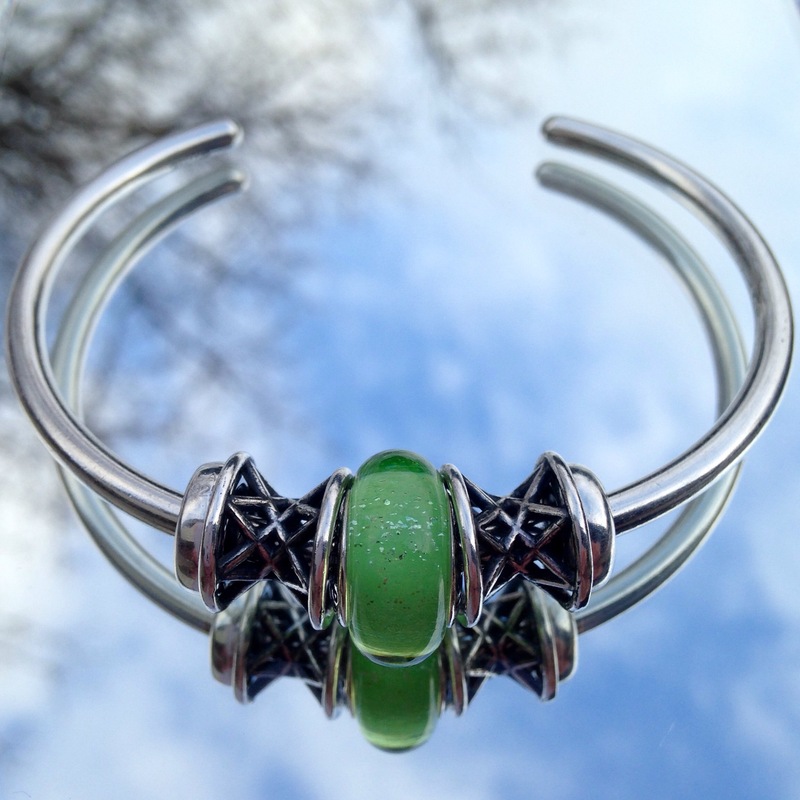 Finally I tried it with the Trollbeads Smile of Stars beads and that’s the way I wore it all day. Which is your favourite look?